Two landlords are feeling the sting after making the same property management mistake. In the first instance, a landlord in South Dakota has been charged with discrimination after allegedly denying a tenant’s request for an emotional support animal, and threatening to evict the tenant if she were to get the companion animal. 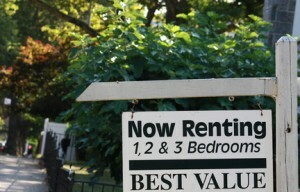 The right to evict the tenant should she violate any of those (illegal) provisions. Eventually, the tenant felt inclined to look for another place to live for fear of losing her companion animal. The Fair Housing Act requires rental housing providers to make reasonable accommodations for tenants with disabilities, which includes waiving “no-pet” policies for persons who require assistance or support animals. In another recent case, coincidentally also in South Dakota, a landlord is facing charges for discriminating against a tenant with a disability after allegedly refusing to allow a tenant to use a wheelchair because the landlord feared it would damage the carpeting in the unit. According to the charge, the landlord then refused to return the tenant’s security deposit and provide a negative rental reference after the tenant was forced to vacate. It is illegal for landlords to reject tenants, add more burdensome conditions or terms, make disparaging statements or retaliate because of a tenant’s disability. Despite the law protecting tenants with disabilities, a recent report from HUD, the Fair Housing watchdog, found that the majority of discrimination claims were based on disability. Those who are wheelchair-bound and the hearing-impaired are the most likely to face rental housing discrimination. Landlords who are charged with discrimination claims face significant income loss, including payment of damages, civil penalties, attorney’s fees, and in some cases, punitive damages. In addition, a judge may order the landlord to undergo training or restrict that landlord’s ability to manage rentals in the future. Next post: Are You Tracking Rejected Rental Applicants?